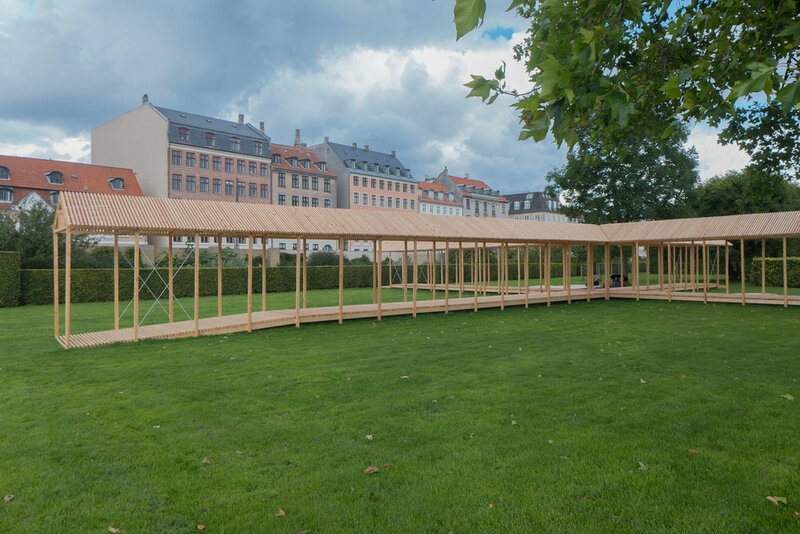 The temporary pavilion in the King's Garden in Copenhagen was opened officially yesterday, 18th August, and will now be used for events through the rest of the Summer and early Autumn. In English architecture this type of roof truss is described as a "Queen Post" in part, I guess, because they are smaller than a "King Post" which is a single post immediately below the ridge or apex. Not that that makes any sense of the odd implication that there has to be two queen's for every king. It's also usual, except in a very very large roof, to have either two queens or one king. If carpenters did put in a king post flanked by queens then the queens often lean outwards and then are called queen struts. Who knew the engineering of a roof could be such a minefield of social niceties? 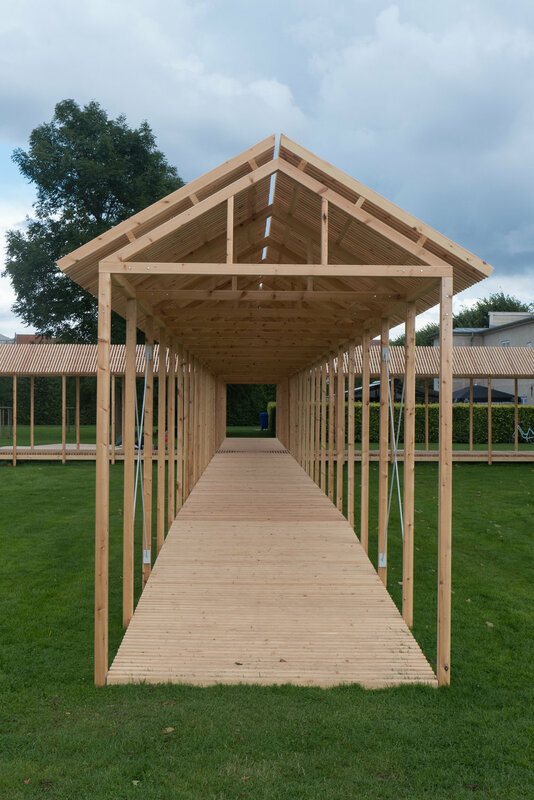 Here there is no ridge piece but three long timbers or purlins on each side to space and support the 'common' rafters ... common here being nothing to do with their sense of taste or style but simply that there are a lot of them. 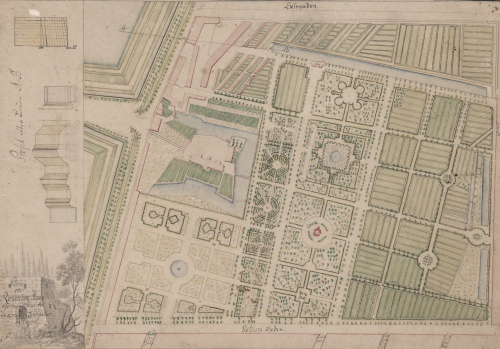 In the 17th century these gardens of the Rosenborg were enclosed and private, and then, as now, divided by avenues and walkways but with more of the spaces between laid out with planting and paths in geometric shapes. 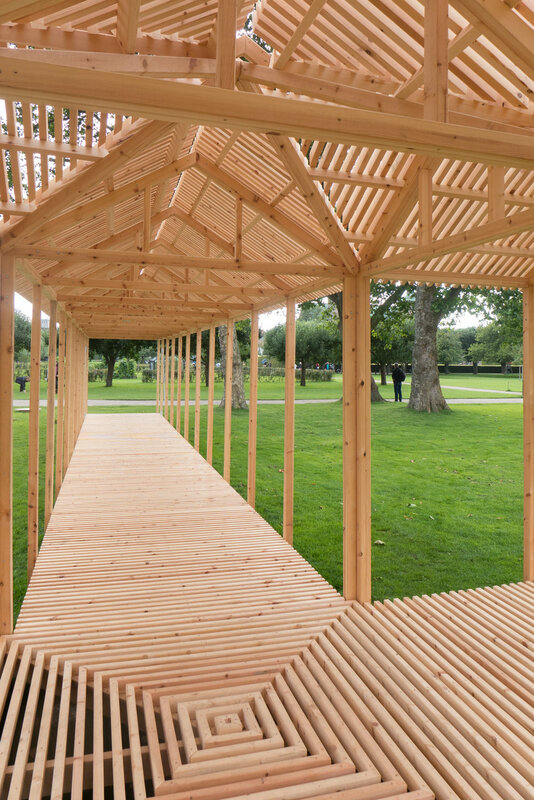 The aim was to delight and entertain the king and his court ... so the present pavilion also uses those ideas and those games with spaces and division to create different areas in each of the quadrants.